Disclaimer: I did not pay for this experience, The Urban Coffee Farm hosted a free media breakfast. The opinions reported below are based solely on my thoughts at the time of my visit. 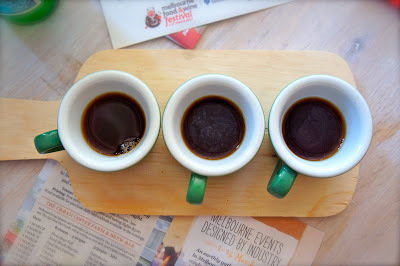 Free entry, coffee and coffee tasting flights $3 More info here. Coffee snobs of Melbourne, unite! 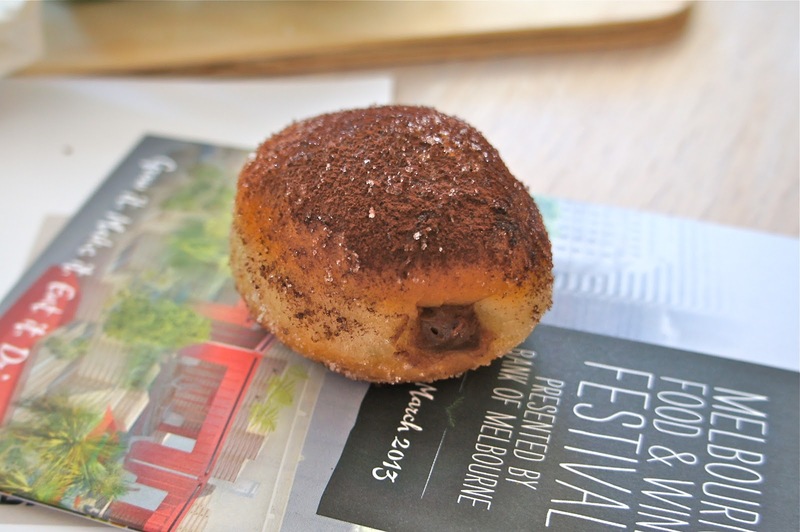 The hub of Melbourne Food and Wine Festivals 2013 is up and brewing. 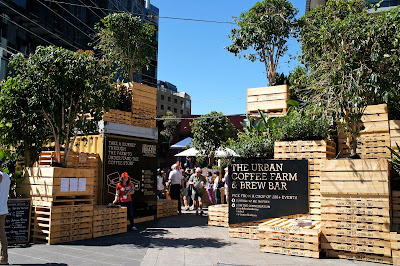 In a nutshell, The Urban Coffee Farm and Brew Bar is a man-made, terraced coffee farm in the heart of Melbourne’s CBD. 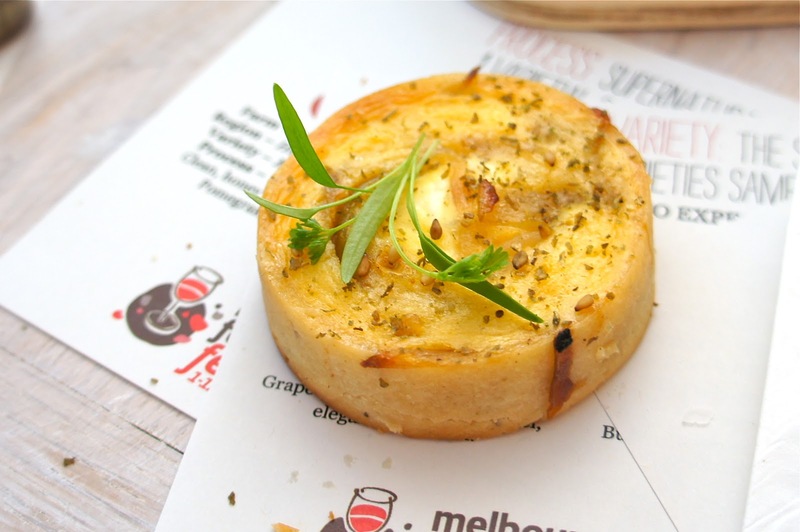 Located in Queensbridge Square next to the Yarra River, it pays homage to exotic coffee varieties from across the globe. Until March 17th, The Urban Coffee Farm is featuring a top barista each day (as nominated by The Age Good Cafe Guide) from Melbourne’s best cafés, including Brother Baba Budan, Proud Mary, ST ALi, Auction Rooms and Seven Seeds. Your daily caffeine dose is only $3 a pop, but there are also opportunities to learn about coffee from farm to finish with brewing workshops, hosted by industry coffee experts (the schedule is on the website). 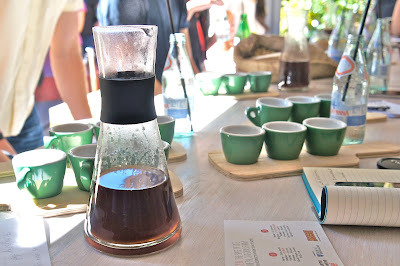 On the first weekend of The Urban Coffee Farm, a small group of media representatives were given a lesson on coffee region, variety and process. I can’t say I passed with flying colours, but I can recommend the coffee from Coban with flavour notes reading, “black pepper, creamy body, cola”. Somehow, I tasted fruit. 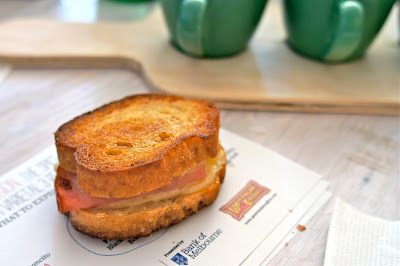 I’m a strong believer that the best way to learn about coffee is to drink it with breakfast. 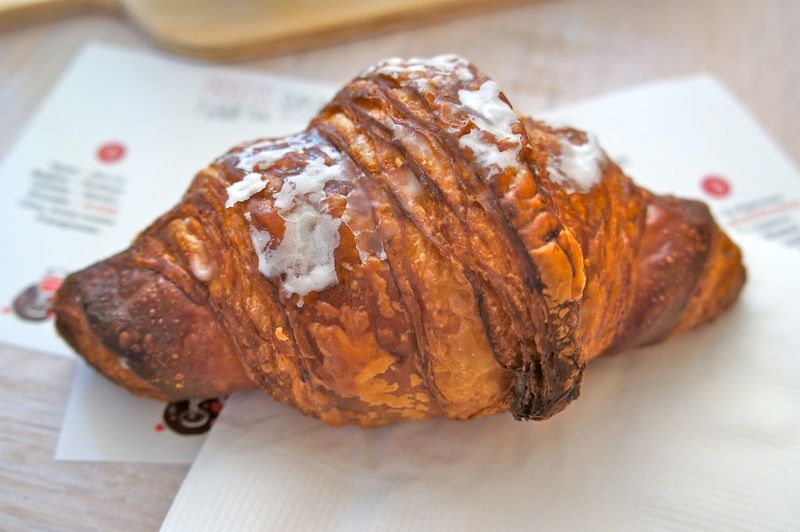 We enjoyed a number of delights from Italian baker and pastry artist Alessandro Urilli, head baker at the Atlantic Group and their soon-to-open Mill and Bakery at Central Pier. 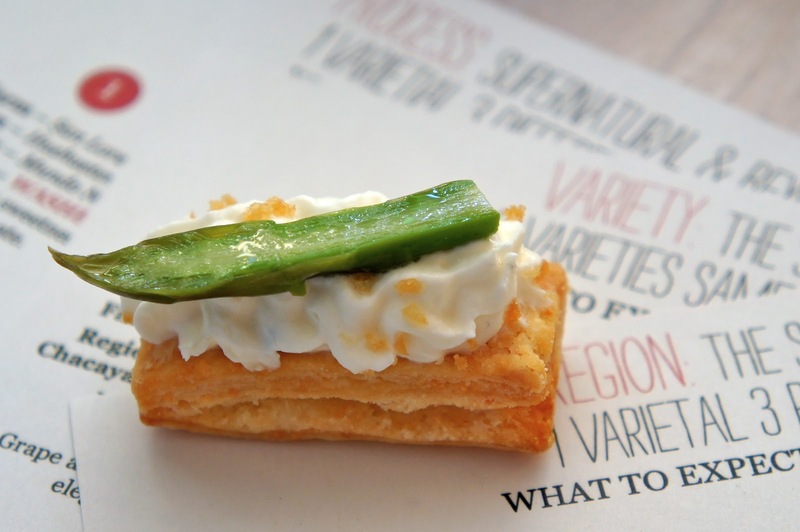 The house-baked croissant and chocolate bomboloni were standouts, while the leek tart and mini croque monsieur (minus the cheesy top) satisfied my savoury side. From 12pm to 4pm, The Farm also serves $10 gourmet ciabattas, such as the ‘Istra of Daylesford’ with Istra of Daylesford prosciutto, Heidi Farm gruyère cheese, roquette and almond pesto. Come 5:30pm, coffee inspired cocktails are king, and the bar roster is as impressive as the barista roster. Appearances from Black Pearl, Newmarket Hotel, EDV Melbourne and The Aylesbury are sure to see a few too many espresso martinis consumed. The West Victorian slow braised lamb shoulder served in pita with cubed heirloom tomato salad and minted labneh didn’t look half bad, either. 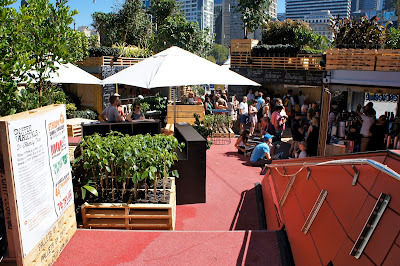 Food and drink aside, the design of The Urban Coffee Farm is incredibly well thought out. Built in less than a week by internationally acclaimed design studio HASSEL, the red stairs at Queensbridge Square have been incorporated into the coffee farm structure, which is made from the materials used to transport coffee to bean-addicted Meburnians. Think timber pallets, packaging crates and shipping containers, alongside over 125 coffee trees and 1500 plants: a concentrated urban jungle. 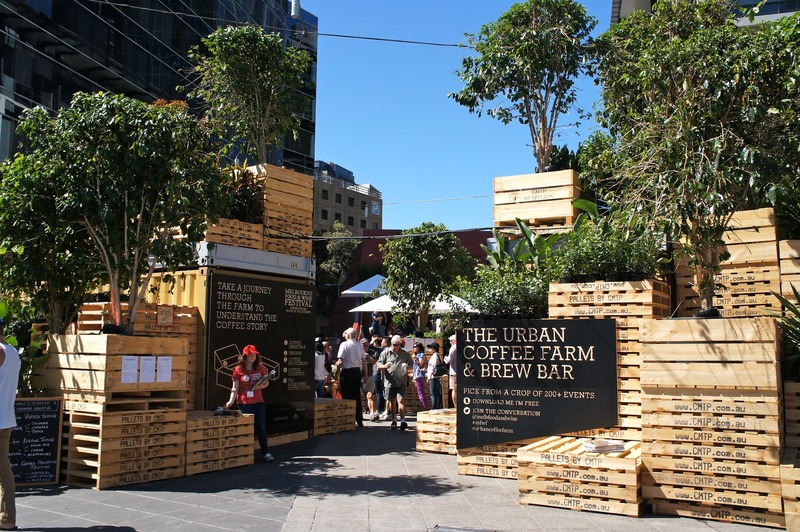 Over the Melbourne Food and Wine Festival, 100 000 people are expected to visit The Urban Coffee Farm and Brew Bar. Its affordable caffeine and nosh is definitely a selling point, as is the promise of cocktails and our city’s best baristas and mixologists in one place. 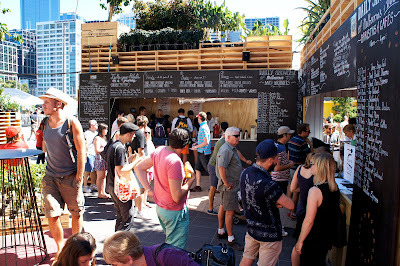 But above all, The Urban Coffee Farm and Brew Bar reminds you that Melbourne really is the best city in the world. Still bummed I missed the Sunday tasting event.. but since I work on the river right across it. I'm so gonna visit! Bummer! Can't be in two places at once, unfortunately :). About to send you an email, by the way! A coffee club committed that, provide a great coffee to their customers with an exceptional cafe experience by full-filling farmer interest. The The Urban Coffee Farm and Brew Bar is a well known coffee shop. Personally I like this club for serving the better quality coffee. Any one can use the Hamilton coffee maker from https://toolercoffee.com/hamilton-beach-flexbrew-reviews/if they want to get the real taste of coffee.